A KS1 activity that uses two stories to explore the ideas of sharing, helping each other, and understanding that we are all linked. KEY QUESTIONS: Why do we help each other? Why do we share? 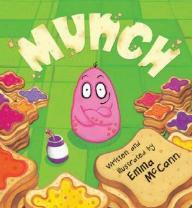 Munch, by Emma McGann, tells the story of a little monster who stays at home eating toast and jam and not helping anyone, when he hears on the news that a huge hungry monster is on the loose. Eventually, Munch’s toast, jam and fridge all disappear, because he didn’t get involved and help to stop the monster. Each of the stories deals with the ways in which working and living together are positive processes that help us as much as they help the people we are with. Both stories can be read with pauses for hot seating where one learner takes on the role of a character and sits in the ‘hot seat’ whilst others ask questions of that character about their behaviour, thoughts and feelings. An example could be “Why didn’t you want to share the aphids?” and the learner chosen needs to think about what the response might be. This is a way that the group can explore the story, and then in each case the key question can be looked at in relation to the characters, e.g. 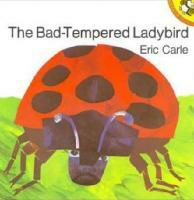 “Why did you still share the aphids with the other ladybird?” ..to a learner playing the friendly ladybird.